List Rules "Nobody f*cks with the Jesus" ...or any of these Coen Brothers characters. Vote up the ones you think are the weirdest. The Coen Brothers are considered to be among the best filmmakers working today. Their unique style, crazy characters and twisted sense of humor is visible in each one of their many movies. Got a favorite Coen Brothers movie? You can vote it up on this list of the Best Coen Brothers Movies. One of the things that the Coens always manage to fit into their movies are bizarre characters that sometimes don't even factor into the plot of the film at all. Whether it is a straight comedy like The Big Lebowski or a tense thriller like Fargo, one of these strange characters always manages to make it on screen. Here is a list of some of the absolute weirdest side characters the Coens have come up with so far. Even though they may not be on screen for long, they definitely make an impression. 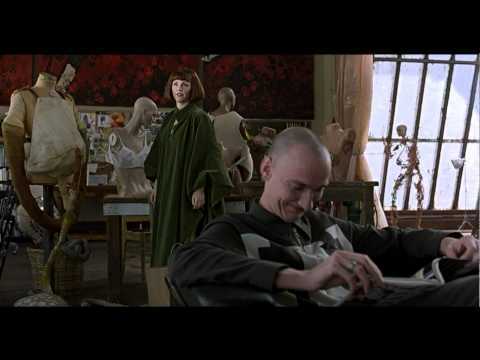 Vote up the strangest characters on this list and thank the Coens for all the creepiness. "Nobody f*cks with the Jesus." 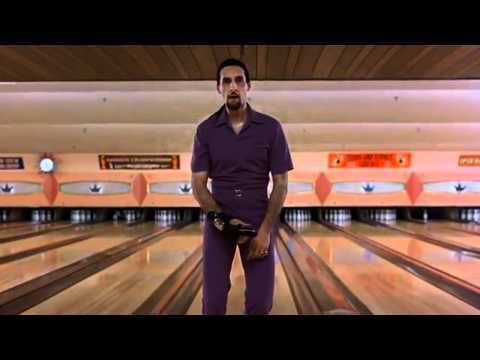 John Turturro's portrayal of this bizarre character is one of the highlights of the 1998 cult classic The Big Lebowski, despite his relatively short appearance. Jesus is a bowling rival of Walter and The Dude and has a very flamboyant personality, dances his way to the lane, and allegedly has a record of child molestation. The way Turturro licks the bowling ball (which was apparently something that was not in the script) has now become a signature weird image of this strange and wonderful film. "I'm a man of large appetites." O Brother, Where Art Thou? is loosely based on Homer's The Odyssey. In the film, three outlaws looking for lost riches meet a large Bible salesman named Big Dan, who offers to teach them the ways of selling "the word of God, in bulk." When they ask him for further information, he beats them half to death with a giant log and robs them. Big Dan represents the Cyclops in Homer's story both literally and figuratively. He wears an eyepatch and is also a monster of a human being. 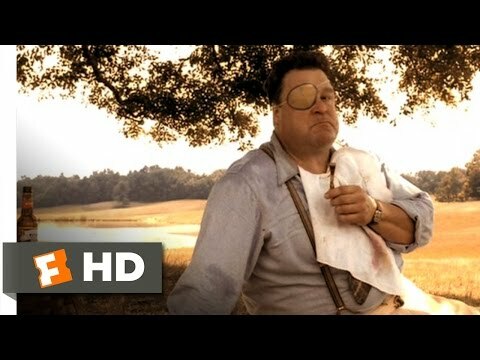 This is just one of many of John Goodman's appearances in Coen Brothers films. He always manages to bring a unique kind of unhinged creepiness to each of his roles. "You were always such a super lady!" Mike Yanagita is definitely the most pathetic character on this list. In a strange side-plot from the main storyline of Fargo, Marge Gunderson goes to visit an old high school friend who turns out to have motives beyond just having a drink. After confessing that his wife has died and he is very lonely, Mike confesses he still has feelings for Marge. It isn't until after this awkward meet up that Marge finds out that not only was Mike not married to the woman he said he was, she's perfectly alive and well! "Just a friend of Maude's"
Almost every character in The Big Lebowski could be on this list, but Knox Harrington the "video artist" is easily the strangest. For an entire scene, he is in the background giggling loudly about seemingly nothing. When "The Dude" asks him any kind of question or even insults him, it only sets him off more. When Maude, the performance artist whom "The Dude" came to see in the first place shows up, she joins in with the giggling. What is so damn funny?